During the summer season, every day is an adventure for us here at Timberline Tours, and we hope you don’t wait for a special occasion to enjoy a Vail rafting trip. 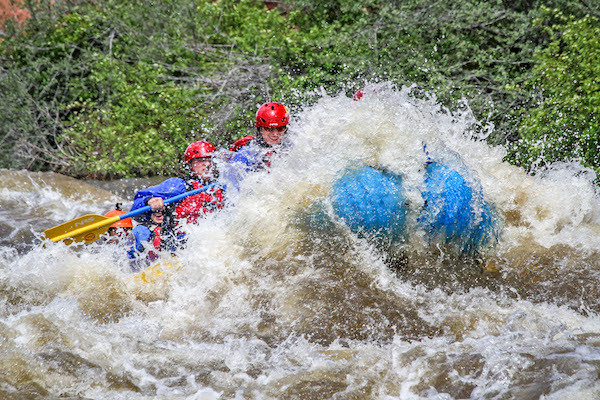 But if you do have a wedding, birthday, anniversary, or office getaway that you’d like to share with adventurous family members, co-workers, and friends, here’s our best-of Vail rafting guide to help you choose the best fit for your group. RAFTING & DINOSAUR DISCOVERY: This trip rocks, simply put. 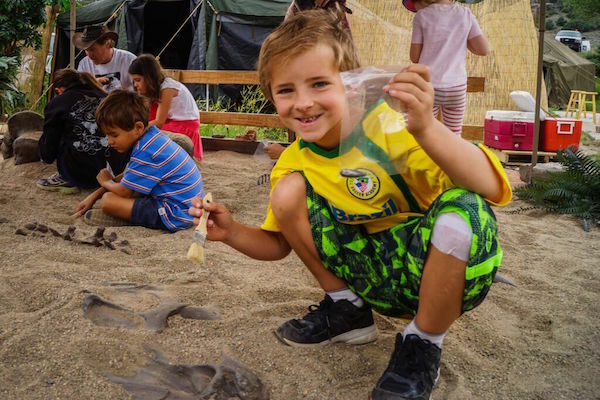 With part of the day spent rafting on the Upper Colorado River and part of the day spent on a fossil dig at the Fossil Posse base camp, this educational adventure turns the Vail area into an outdoor classroom like no other. On our Rafting and Dinosaur Discovery rafting trip, adventurers of all ages will learn more about the history of dinosaurs along the Colorado River basin, see evidence of these mighty creatures, and have a hands-on fossil dig experience. PINE CREEK & THE NUMBERS: The combo Pine Creek and The Numbers sections of the Arkansas River offer intensity and excitement that bold and athletic paddlers will relish. This section of whitewater has a river rafting class rating of V- / IV, so everyone on this rafting trip can expect to encounter areas requiring physical commitment and high-intensity paddling. 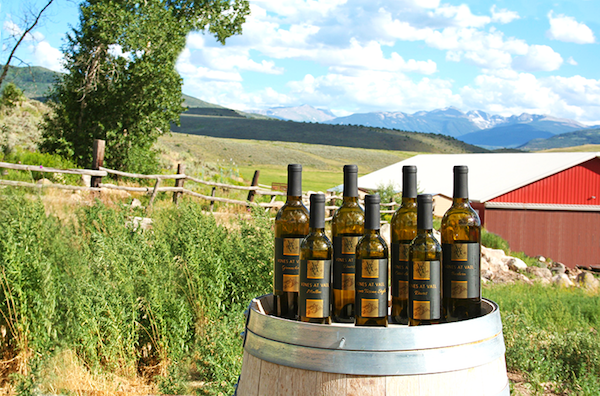 RAFTING & WINE TASTING: The Timberline Tours rafting and wine tasting trip begins with a relaxing float on the Upper Colorado River followed by a Vines at Vail Winery wine tasting at Four Eagle Ranch. Birthday parties, anniversaries, family gatherings, bachelor and bachelorette parties and other special occasions make great reasons for an adventurous group to get together and enjoy this trip together. UPPER COLORADO: The Colorado River captures the sheer essence of Colorado’s natural beauty, and the Timberline Tours Upper Colorado River rafting trip goes along at a slow enough pace that you can take it all in and enjoy the views. This scenic float trip near Vail is great for youngsters and for older adventurers who are young at heart, making it a good rafting trip for all ages. In the early summer season, some paddling might be required, but most of the summer, those on the raft can simply relax while guides navigate the boat and share stories along the way. SHOSHONE: If you’re in the Vail area for a birthday weekend, bachelor party, or an outing with adventurous co-workers, then the Shoshone rafting afternoon trip is a great choice for your group event. The Shoshone stretch of whitewater on the Colorado River has several exciting Class III rapids followed by an incredibly scenic float through Glenwood Canyon. The Shoshone Triple Thriller option is great for those looking for a more intense paddling experience; on the Triple Thriller afternoon rafting trip, you’ll get to run the best of the rapids three times, with different variations each time. And with a half-day rafting trip, you’ll still have time for other Vail activities…or you can just relax and enjoy the fresh mountain air. BROWNS CANYON: A Class III (intermediate intensity) rafting trip on the Arkansas River, Browns Canyon provides an opportunity for a full-day rafting trip near Vail that’s great for athletic groups of varying ages. Browns Canyon is perfect for a family reunion or for a wedding party, and the riverside lunch gives groups a chance to hang out and enjoy the mountain scenery you’ll discover in this national monument. Granite cliffs, colorful rock outcroppings, and the river—of course—will make this rafting trip one you won’t forget. Beyond these best-of Vail rafting trip picks, we’re also willing to work with you to create customized adventures, private rafting trips, and rafting trips for corporate groups if you have something extra, extra special in mind.